Napa Valley has become one of California's top tourist destinations and for good reason. The 17 mile valley is host to some of the best scenery, wineries and restaurants in the state, a wine lover's paradise. First Timer? I got you covered! Whether you're coming for a day or staying a week, planning your trip before you get here is is essential. Don't be overwhelmed by the countless guides on Napa. Instead, trust the locals and Local Wally for unbiased recommendations that aren't influenced by advertisers or kickbacks. So open up that good bottle and follow my advice for planning that perfect trip to Napa Valley, from picking when to come to choosing your wineries, it's everything a first timer to Napa need to know to plan your trip to wine country. Most travelers pick Summer or Fall to visit Napa, a time when the vines are bursting with grapes and the smell of picked fruit is intoxicating. Of course, since most people visit this time of year it's also the most busy, sometimes so busy that getting a taste at a winery is a lesson in patience. But I can't deny that going to a grape stomp (remember I Love Lucy?) or watching the grapes get pressed makes for a memorable trip. Expect hot weather in Summer. But for me Spring is the time to go, especially when the mustard plants are blooming in the empty vineyards. Weather is typically perfect, crowds are thin, it's the perfect time to visit Napa. Winter has the rain but also the lowest rates and there's something romantic about running into a winery under an umbrella or warming up near the fireplace at the end of the day. The two key areas most people stay when visiting Napa Valley are Downtown and Yountville. If you have the funds, Yountville is top tier, the place to stay if you want a spa type resort that's walking distance to some of Napa's best restaurants. Downtown used to be a distant second but has been catching up quickly as the place to stay due to it's night live and expanding restaurant scene. Both downtown and Yountville have tasting rooms so they're both excellent destination locations. St. Helena and mid-Napa Valley has scattered accomodations, some very high end (Auberge du Soleil, Meadowood) and some moderate, and Calistoga up at the tip of Napa Valley has more moderate lodgings as well as a few 5 star resorts. Visit my Hotel Pages to see more details and reviews. With hundreds of wineries in Napa it's hard to decide which ones to go to - even for locals! 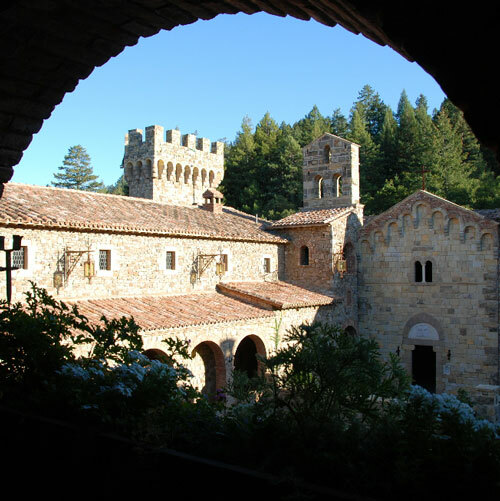 But you can break it down to Big Name Iconic Wineries (Mondavi, Beringer, Castello di Amorosa, Sterling, etc), Better Known Small Wineries (Cakebread, Peju, Grgich Hills, etc), and Boutique Wineries. For a well rounded trip to Napa you'll want to pick wineries in all 3 categories - don't worry, I can help, just email me. The mistake most first timers to Napa make is missing all of the small boutiques. I love the smaller wineries because there are fewer crowds, there's a more intimate tasting experience, and oftentimes the wines are better. As a bonus, most boutiques offer discounts with the Wine Pass, typically 2 for 1's, so don't miss out. Discount wine tasting coupons do still exist but they are becoming harder to find. Today most winery discounts are found on wine passes or Napa passports, cards that you simply flash at select wineries to get discounts and 2 for 1 tastings. There are a number of competing cards out there but the best one is the Priority Wine Pass. It's one of the cheapest cards ($39.99 for my readers) but is good for 12 full months at over 150 wineries. Want to see the complete list of wine tasting offers in Napa? I collected them all right here. Compare that to the other cards that are only get you access to a half dozen or so wineries or are only good for a season and you can see why this card has gotten so popular. Order if through me as I've brokered the lowest price guaranteed for my readers - to order go to Priority Wine Pass. At only $39.99 the card pays for itself before you finish your second winery. Do you really want to swap your resort bed for the county jail cot? OK, I don't mean to be a vacation downer but tasting and driving, while common in Napa, is still a big risk. If you decide you don't want to gamble then hire a driver - some will take you around in their vehicles, others will drive your rental. Figure it will cost you around $45 an hour for someone to drive you around. It's expensive, yes, but better than a DUI. You can also do tours and Platypus is my favorite, small groups of a dozen hosted by knowledgeable drivers who know the hidden wineries. What's nice with Platypus Tours is you don't have to do anything but show up on time and enjoy yourself. Even lunch is packed. It's like going on a school field trip - with wine! If you book with them please tell them that Local Wally sent you! It's hard to find a bad meal in Napa but there are some essential restaurants that should make your short list. Mustards Grill: My all time favorite Napa restaurant for first timers. Rutherford Grill: Casual bustling restaurant with intoxicating aromas from the wood fire, no corkage fee makes it a bargain. Bistro Jeanty: For a romantic dinner that feels like Paris, this is your place. Michelin star restaurant. Bouchon and Ad Hoc: Thomas Keller brings his "French Laundry" magic down to working man's budget. Bounty Hunter: Casual BBQ and wine bar in downtown Napa, get the beer can chicken! Ciccio: A new local favorite, casual Italian and pizza in Yountville.